We have recently added a large range of coil springs to our parts department. They are available in various spring rates and lengths to suit numerous applications. Available in 48mmID, 58mmID, 65mmID. These springs are produced in high grade alloy steel and shot blasted for maximum life and powder coated in gloss black. 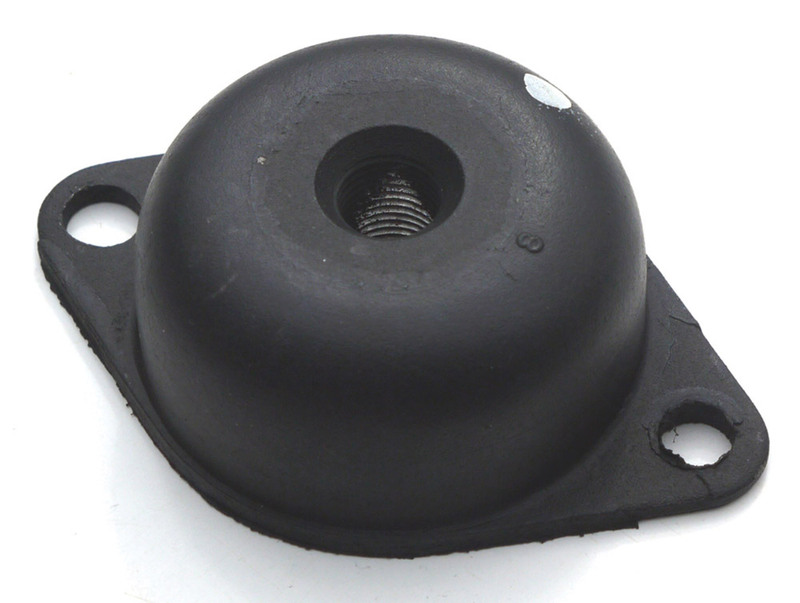 Imrpove the handling of your vehicle with these special products, various suspension bushes and mounts can be made to order, to suit your vehicle's requirements. Improve your vehicle's handling. Sway bar available to suit MK2, E-Types, XJ and XJS. Front and rear adjustable sway bars to suit E-Types, various sizes available to suit all driving applications. Various sizes available to suit all driving applications, improve road handling without compromising ride quality. Allow easier adjustment of torsion bars, can be used with standard torsion bars or uprated torsion bars. 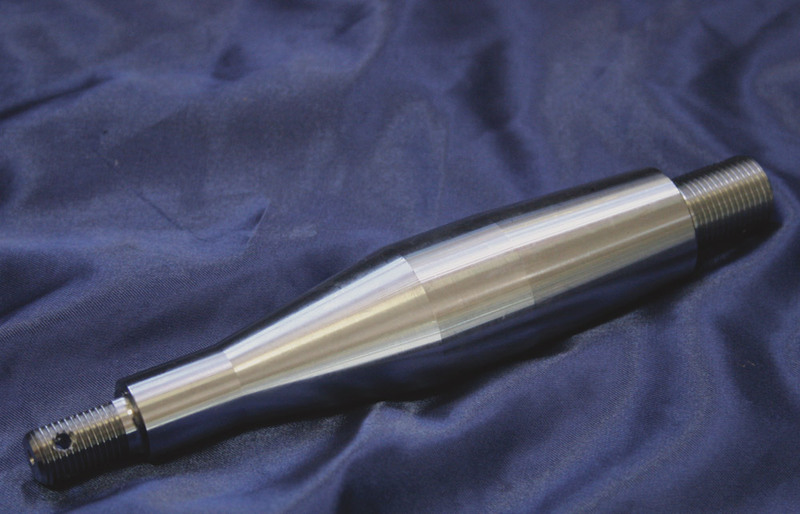 The standard upper wishbone fulcrum shaft on the E-Type does have its limitations, especially when it comes to dialing in more negative camber; to overcome this we have designed a fully adjustabe fulcrum shaft allowing capable of rotating through 120 thou with an eccentric shaft allowing a considerable amount of camber adjustment. The extra thread also gives potential for more castor too. All this is achieved without the necessity to add or remove shims. 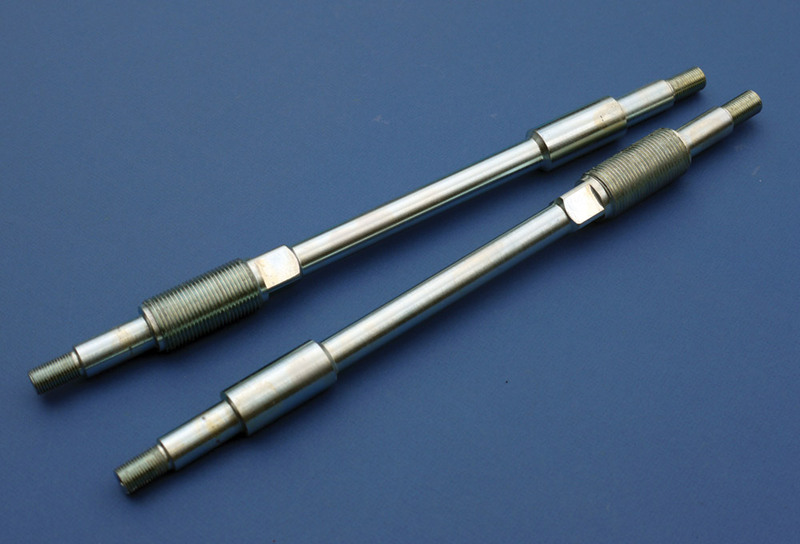 Replacing part number C15369, the shafts are suitable for both Series 1 and Series 2 E-Types. Available to suit MK2, E-Type, XJ, XJS and XJ40. Various ratings available to suit all driving applications. Available to suit E-Type, MK2, XJ and XJS. Made out of high quality material to ensure longer life, ideal for racing applications. Available to suit E-Type, MK2, XJ and XJS. Prolongs bearing and stub axle wear, ideal for racing applications.